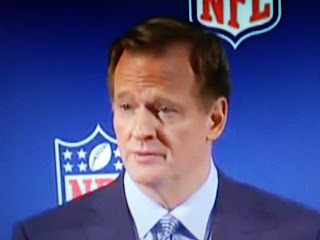 Roger Goodell has forgotten that his job is to grow the NFL. The opposite is happening because the TV ratings for the sport is down for the second year in a row. President Trump is not the problem. It's the players injecting politics in the game and fans are tuning out. 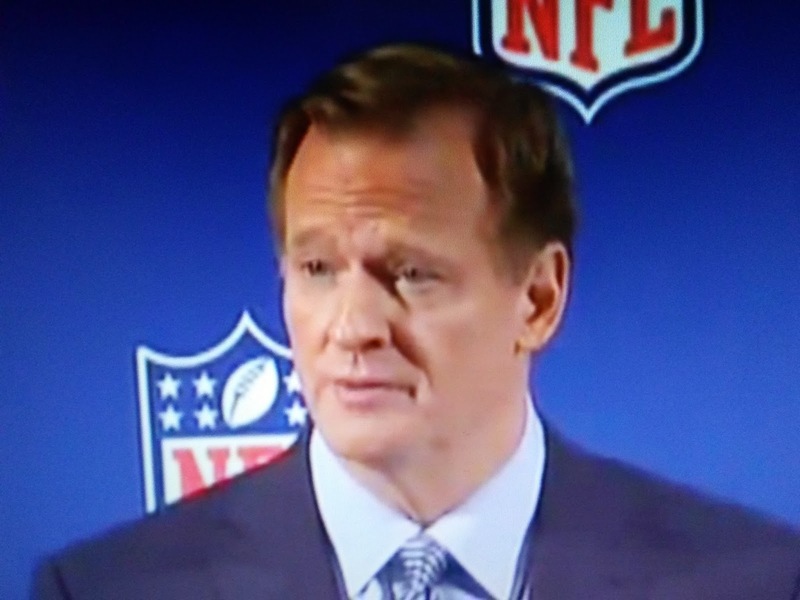 This latest statement by Goodell is making a bad situation worse. AOL News reports the National Football League responded Saturday to comments from President Donald Trump regarding the league and players' protests during the national anthem. NFL Commissioner Roger Goodell said that Trump's "divisive comments" showed "an unfortunate lack of respect" for the league and players. "The NFL and our players are at our best when we help create a sense of unity in our country and our culture," Goodell said. "There is no better example than the amazing response from our clubs and players to the terrible natural disasters we've experienced over the last month." Sports and politics don't mix. And sports leagues better stop letting the inmates run the asylum before the popularity of their sports are destroyed. "Lack of respect for.the NFL"? Thats the funnest thing I've heard in years. Who has ever "respected" the NFL? The NFL lost any respectability years ago. They are about the big money. When they had the instant millionaires start acting up and did little more than slap their wrists years ago they lost any respectability. The infractions kept growing and big football looked the other way. The they have payers get convicted of felonies and when they get out of jail they go right back to playing. This show of disrespect during the National Anthem is nothing to big Football but it is detestable to true Americans. Any sport that allows this type of protest is not worth my time or money.